The latest version of the famous runner game Minion Runner from the house of Norcron Inc. is now up in the pages of iTunes. So, if you have been looking for a runner shooting game that you can enjoy with your friends and family, look no further and get this game on our iOS device without losing any more time. If you have already played the previous version of the game, you must be aware about the fun and enjoyment this uniquely designed runner shooting game offers; and in case, you are quite new to the world of gaming, take the advice of the experienced and try out this free game to catch all the fun. 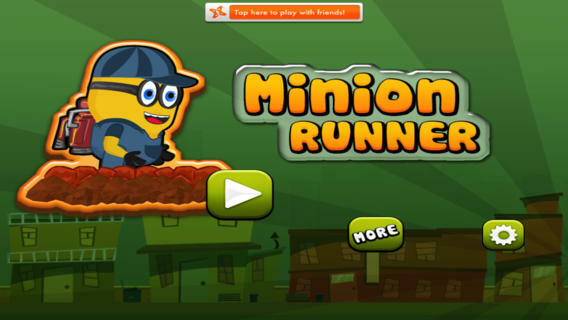 The Minion Runner is a runner shooting game that comes with beautiful sound and graphics. The game is created with the aim to give the players the feel of a real experience. 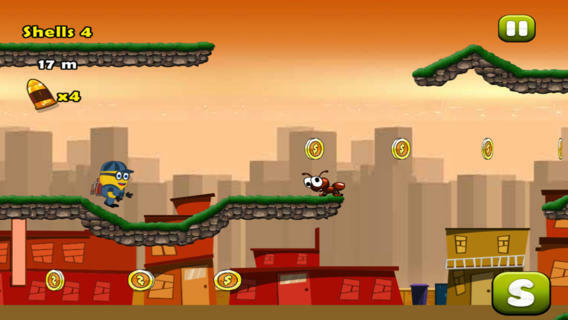 You can play with your favorite minion and make him not only run, but also fly and jump to cover up the hurdles and collect the coins. 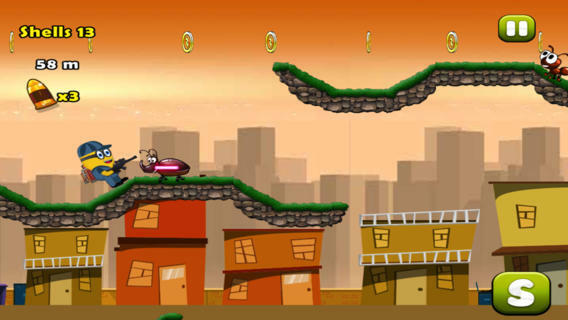 It has an enhanced game play and you can spend coins to grab power ups which can make your game even more interesting. In-app purchases are also available; buy more coins and spend them on making your gaming experience even more real. The latest version of the game comes with enhancements in different sections of the game which makes it not only free from bugs but also a lot more enjoyable. The latest version offers 3 lives of the Minion, which means more gaming experience and more fun. A lot of unique enemies have also been added to the play; so now encountering and defeating them is more fun. The game offers you the chance to collect coins and find jewels on your journey. The shops are now fully stocked up; and they come with more power-ups and coins to make the game extremely enjoyable. The application also works with Game center or Nextpeer. The latest update of the game, version 1.2, has been released on March 8th, 2014 by Norcron Inc. The game is rated 4+ on iTunes, and for now is available only in one language, English. 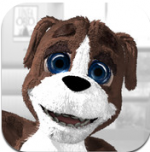 The app is optimized for iOS devices; it requires iOS 6.1 or later versions to run. The game is compatible with iPhone, iPod, and iPad touch. Remove Ads, buying 2500, 25000, or 75000 coins are some of the top in-app purchases that costs between $0.99 and $9.99. Summary: The latest enhanced version of Minion Runner has been released on iTunes on March 8th, 2014. This latest 1.2 version of the game comes with more unique enemies, more power-ups, more coins, better sound and graphics which add to offer a more fun experience. 3 lives of the minion is the other improvement on the previous version. Good: The latest version is free from bugs and due to enhancements in different aspects of game play offers a more intrigued and enjoyable experience to the player; the game is also available for free. Bad: There is no bad report for the game; but surely we have liked it even more if there were less or no in-app purchases. 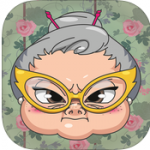 Grumpy Granny: Who’ll Save the Day for Granny?